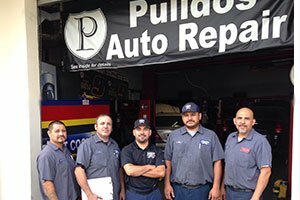 Welcome to Pulido’s Auto Repair Inc.
Pulido’s Auto Repair has been servicing Perris, CA and surrounding areas since 2008. We have the experience, tools and know-how to get the job done right for our customers. We pride ourselves on excellent customer service, meaning we take care of you from the second you drive on into our shop and even after you drive out with our service warranty. So if you’re looking for the peace of mind that comes with having a professional mechanic maintaining or repairing your vehicle then look no further than Pulido’s Auto Repair Inc. If you have any specific service needs, feel free to browse our website or call in with any questions you may have regarding your vehicle or services. Don’t have time to wait around while we work on your car, truck or SUV? No problem, we understand and that’s why we offer loaner cars and a shuttle service because we know that life doesn’t stop when your car is in our shop. 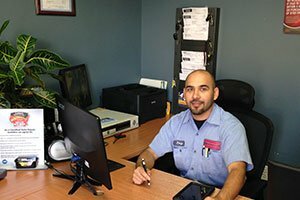 Come meet Jorge and Jesus Pulido – co-owners of Pulido’s Auto Repair Inc. Click here to read more about them and their team! Looking for auto repair in the Perris, CA area? We got you covered here at Pulido’s Auto Repair Inc. Let us handle all of your automotive maintenance and repair needs! If you are looking for honest and reliable Perris Auto Repair, our team of mechanics are here to help! 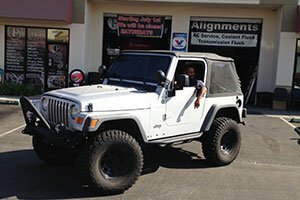 Here are links to some of our most popular auto services: Tires, Alignment, Brake Repair. Give us a call for all of your auto servicing and preventative maintenance needs.